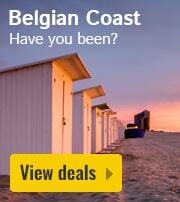 Vakantie- en attractiepark Duinrell in Wassenaar - the best offers! 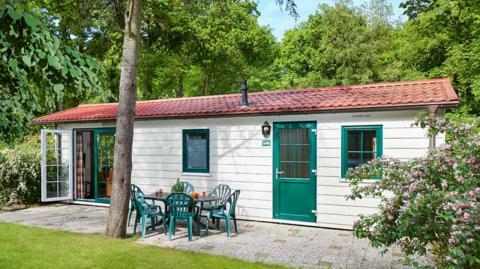 This price applies to 4-person mobile home/caravan Comfort Duingalow, with the arrival as 27 May 2019, 2 Nights. This price applies to 6-person mobile home/caravan Comfort Duingalow, with the arrival as 27 May 2019, 2 Nights. 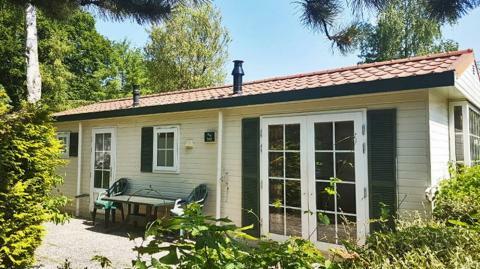 This price applies to 4-person mobile home/caravan Budget Huisdier Duingalow, with the arrival as 3 May 2019, 3 Nights. This price applies to 6-person mobile home/caravan Budget Duingalow, with the arrival as 3 May 2019, 3 Nights. 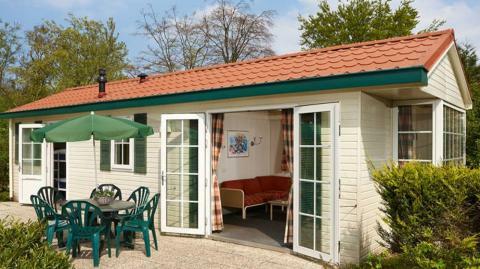 This price applies to 6-person mobile home/caravan Budget Huisdier Duingalow, with the arrival as 3 May 2019, 3 Nights. 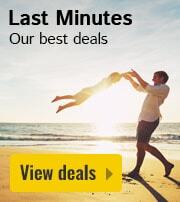 This price applies to 4-person mobile home/caravan Budget Duingalow, with the arrival as 10 May 2019, 3 Nights. In case of cancellation to 15:30 hour 90 days before arrival 15% of the booking will be charged. In case of cancellation to 15:30 hour 60 days before arrival 50% of the booking will be charged. In case of cancellation to 15:30 hour 30 days before arrival 75% of the booking will be charged. In case of cancellation from 15:30 hour 30 days before arrival 90% of the booking will be charged. In case of cancellation from 15:30 hour on the day of arrival the complete amount of the booking will be charged. Duinrell amusement and holiday park is one of the highlights of Holland. You are in the middle of the beautiful countryside, in between the forest and the beach, and can enjoy a magical mix of relaxation and adrenaline! While staying at Duinrell, you are afforded free admission to Duinrell amusement park. 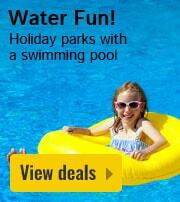 Alternatively, the kids can splash around in the Tiki Pool (for a fee)! During winter, Duinrell amusement park is closed, but the Tiki Pool remains open. Duinrell amusement park boasts over 30 rides and attractions and some highly entertaining live shows! The longest rollercoaster is the Dragonfly, a ride for the whole family which is a guaranteed dizzying experience. The many other outdoor activities include archery lessons, a diving school and a climbing wall. At Duinrell holiday park, the kids can make use of the many children’s facilities, including a miniature railway, playground and of course Duinrell amusement park in your backyard! You can also find a game area and a bowlingcenter. What’s more, there’s an entertainment programme onsite to keep children entertained while you and your partner enjoy a moment's relaxation! The Tiki Pool, which is open all year round, is one of the park’s highlights, featuring eleven different slides, a Typhoon and a Lazy River. Kids waterpark Playa has just opened in the Tikibad as of July 2017! 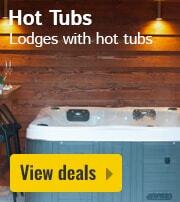 More reason to visit Duinrell holiday park for your next family holiday. Duinrell Plaza boasts an entire range of restaurants, cafes, bars and supermarkets. Enjoy a family meal at La Place, pick up your groceries for back at the Duingalow or enjoy a refreshing beer in the pub. Surrounded by forest, dunes and wide sandy beaches, Duinrell is located in the affluent Dutch town of Wassenaar, a peaceful village with a fantastic high street, traditional architecture and atmospheric cafes, bars and restaurants. 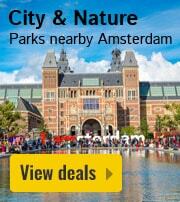 If you fancy a city trip, you can drive to The Hague and visit one of the many fantastic museums. The beach is just a couple of miles from the park! What's more, the surroundings are ideal for hiking and cycling. There is a bike rental in the park, so you can decide spontaneously if you prefer walking or biking. Entrance to the amusement park is free of charge between the months of April and October. When the amusement parc is open between the months of April and October the entrance for guests of the holiday parc is free of charge. At the weekends of November and December and during the christmas holidays parts of the amusement parcs are open, when the weather is good. The Tiki Pool is open all year. The entrance fee to the Tiki Pool is not included in the price. The accommodations BUH are especially designed for pets, therefore when booking the pet is automatically calculated in the price. 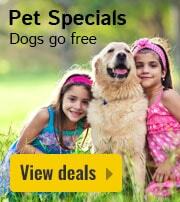 The costs are €6,00 per pet + the endcleaning of €25,00. In the other accommodations are no pets allowed. For most requests/preferences, an additional charge of €20 is applied per accommodation. You can find these costs on the invoice from the park. Parking of one car is free at your accommodation. Bookings for unaccompanied groups of young people (aged under 21) will not be accepted by the park. The Tiki Pool is closed for maintenance every January. Wi-Fi is not for free in the accommodations, you can ask for Wi-Fi at the reception. Until the 29th of March you have free access to the Tiki Pool. When the amusement park is open, you can buy tickets to the Tiki Pool for the following prices: 2 hours a day during your stay: 4-pers duingalow €25.00 and 6-pers duingalow €35.00.